From ColecoVision to Sega Nomad to Apple Pippin, here are 11 video game consoles that crashed and burned. I was reading about the Wii U this week and saw someone describe it as a flop. That seems premature. I’d say it should get a grade of Incomplete. Once they actually release some games for it and it’s selling against the new Xbox and Playstation, then we’ll see if it’s a flop. For now, it’s a pre-flop. Perhaps it’s a 7-Q offsuit pre-flop, but still a pre-flop. Let’s take a journey into the cave of frozen memories for a look at some video game consoles that really flopped. Here 11 of the video game industry’s most massive flops. They’re presented in order of sales. This console was developed during that very, very brief period where everyone was betting on Laserdiscs. By “everyone,” I mean companies — obviously not consumers. Laserdiscs were so unpopular they don’t even have much of a cult following today, and EVERYTHING has a cult following today. 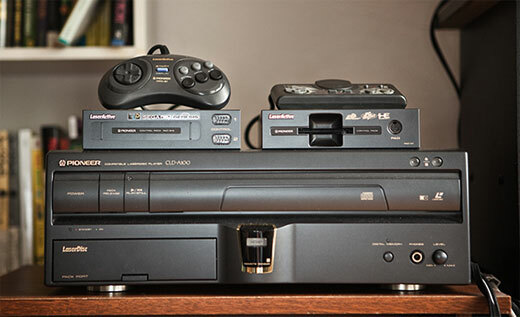 The Pioneer LaserActive could play Laserdiscs, CDs, Sega Mega System and Genesis cartridges, TurboGrafx 16 cartridges, and karaoke discs. Sounds like a pretty sweet system… if only it hadn’t debuted in the U.S. at $970. It may be the worst-selling video game console of all time. It’s hard to remember, but before everything Apple touched turned to gold, everything Apple touched turned into flaming piles of garbage. The Pippin was one of their mid ’90s flops that pushed the company toward the brink of extinction. When it debuted (competing with consoles like the Playstation 1), it cost $599. It would be another decade before Apple could get away with charging that price for something with inferior specs. This was Atari’s last original console and befuddled people with its controller. It was the combination of, basically, a Genesis controller and the number pad from a touchtone phone. Which made it seem as antiquated as a rotary phone. The weirdest part about the CD-i is that it got exclusive Nintendo titles from Mario and Zelda. 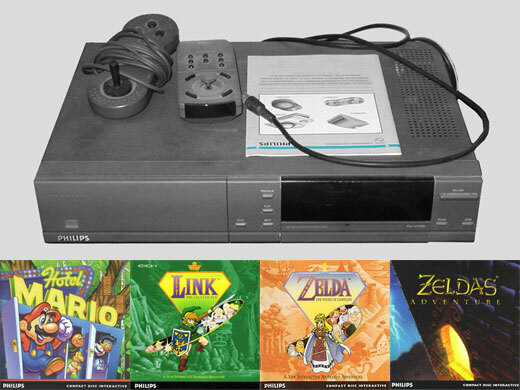 Hotel Mario, Link: The Faces of Evil, Zelda: The Wand of Gamelon, and Zelda’s Adventure were all made for the CD-i thanks to a brief partnership between Nintendo and Philips. I believe that’s the only time Nintendo ever loosened its grip on its two biggest franchises and allowed them on another manufacturer’s console. Even if those weren’t good games (and by all reports, they are NOT good games), their mere existence could’ve riled up the masses. But since no one knew, the CD-i was known as a console of mainly educational games. Which, of course, is an instant death wish. 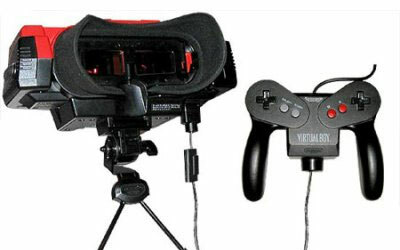 I once wrote 11 Points In Defense of Nintendo Virtual Boy and I’m not flip-flopping on that position. Yes, it was the wrong system in the wrong place at the wrong time… but there was some really good stuff in there. Some good, red, pixelated stuff. The Lynx was the first color handheld system ever and the first challenger to Nintendo Game Boy — except that it wasn’t quite ready to compete out of the gates. It came out two months after the Game Boy, in September of 1989, in limited qualities. So in December, kids asked who asked for either a Lynx or a Game Boy got a Game Boy — because there were plenty of them available. 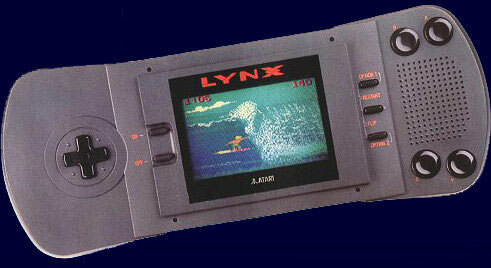 Game Boy’s market share became beyond dominant and the Lynx never caught up. And now, when you search lynx, you get results about the actual animal *and* the Minnesota WNBA team before anyone mentions Atari’s handheld. There was a lot to like about Neo Geo. It had superior graphics and power for the era. They had it set up so you could play at home, take a card with you to an arcade and continue your game on the arcade machine. That was a pretty big bet to make on the arcade for 1990 — but the bigger problem, like a lot of these systems, was the price. It came out at $650, which is $1,150 in today’s dollars. Kids were already cashing in lifetimes worth of favors with the parents to get Nintendos that cost a third of that. 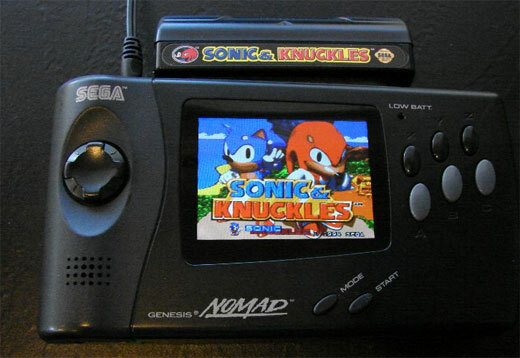 The Sega Nomad was ahead of its time in concept — it was a portable handheld that played your Genesis game cartridges. 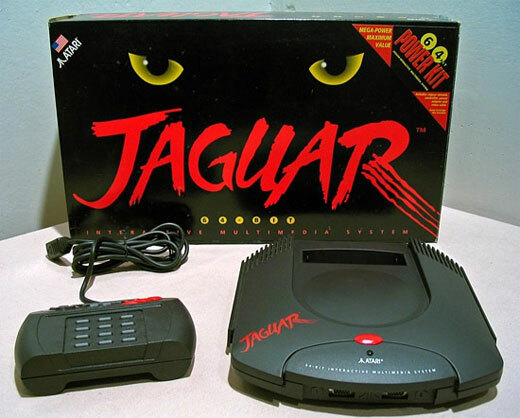 So, unlike a Nintendo and a Game Boy, which took different games, this took the same games as your home system. But the technology wasn’t ready. It took a lot of bulk and a lot of power to put a Genesis in your hand in 1995. So this thing needed six AA batteries just to squeeze out two hours of game play. It’s hard to wander like a nomad when you have to turn around and head home after an hour. It also came out at the end of the Genesis life span, not the beginning, so people were already getting off the system. 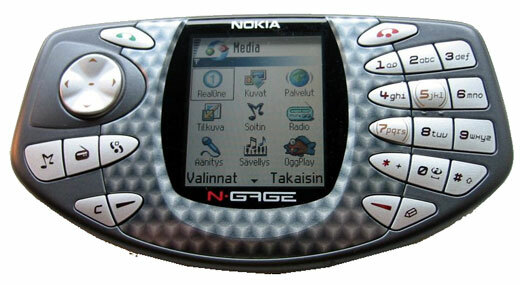 Nokia came out with the N-Gage to try to combine our phones and portable video game systems… but pulled the trigger a couple of years before phones actually got powerful enough to play games besides Snake and Bubble Breaker. They were expecting it to be a massive hit. It wasn’t. The lore says that it was outsold by the Game Boy Advance 100 to one in its first week. It cost twice as much and had a fraction of the number of games. It was also build oddly — it wasn’t shaped right to be a phone or a game console. The mic for the phone was awkwardly positioned so you’d have to hold it sideways… and the slot to insert the games was behind the battery console, so you had to take it apart to change games. The 3DO came out using CDs for its games instead of cartridges like Nintendo and Sega’s. And that was fine… only no video game companies were really making games on CDs for it. CDs times zero equals zero. Also, it cost $700. I think the lesson in all of this is: When you come late to a market, don’t set your price two to three times higher than the companies dominating said market. 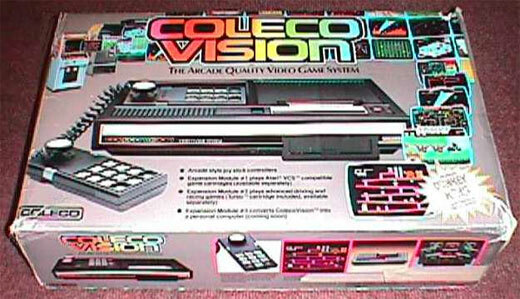 The ColecoVision was a pretty cool machine and often is cited when people are talking about the home video game system pioneers. It just suffered from bad timing. After the Atari became popular there was a massive rush of video game consoles on the market — and the video game market crashed. ColecoVision is on this list because it was the most promising of all of those early ’80s consoles… but still got killed. So, lucky break for the Bally Astrocade, the Coleco Gemini, Matell Intellivision, Radio Shack’s Tandyvision, Sears Tele-Game, Emerson Arcadia 2001, Magnavox Odyssey and Atari 5200. Although this marks the first time I’ve ever passed up a chance to make fun of the Tandy. Perhaps I’m softening as I grow older.